- Seattle Times | "Take a deep breath, people. Redhook is back." 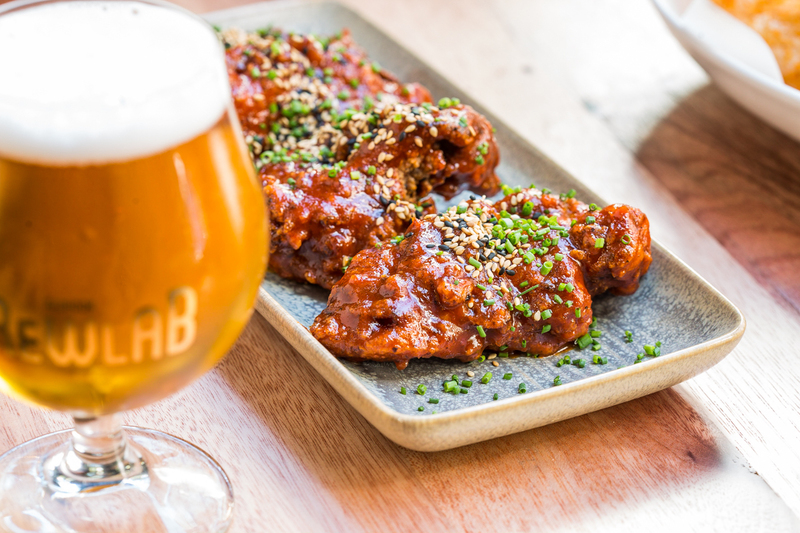 Redhook Brewlab features 16 taps of rotating small-batch beers, brewed on site by Redhook Head Brewer Nick Crandall, an eight-year brewing veteran who has spent his time at Redhook focused on innovation and new recipe development. 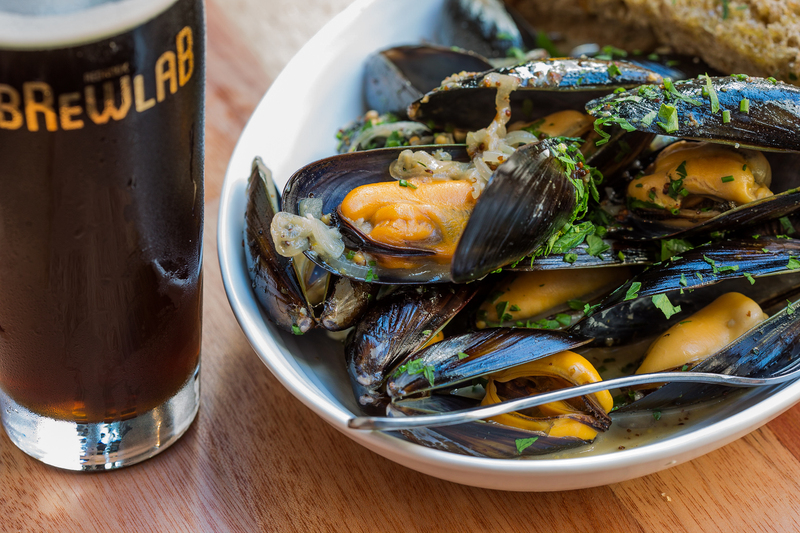 Redhook Brewlab is a beer-focused working space. 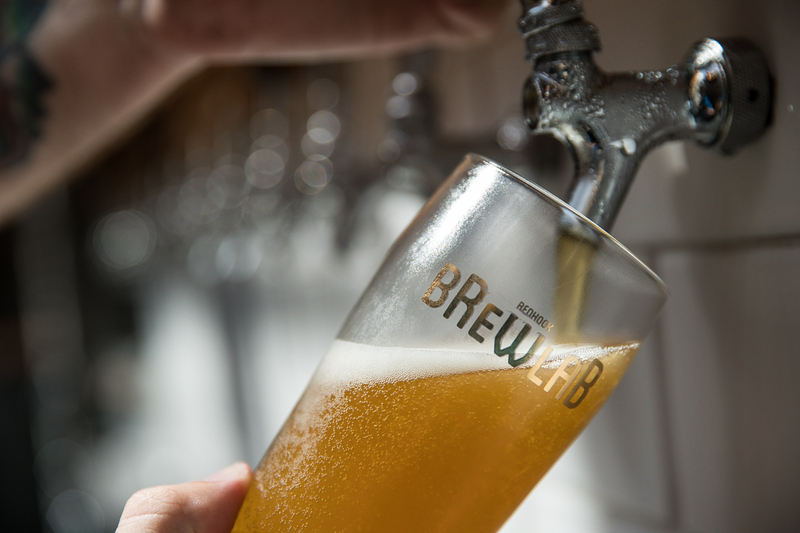 The brewery is a test ground to experiment and create new small-batch beers primarily for the pub, and to develop recipes that will eventually come to life on a wider scale in Washington and beyond. Examples include Bicoastal IPA, and a few others planned for 2018: My Oh My Caramel Macchiato Milk Stout, Mothers of the Sun Raspberry Saison, Peaches for Me IPA brewed with peach and mango, and Tangelic Halo Tangerine IPA. 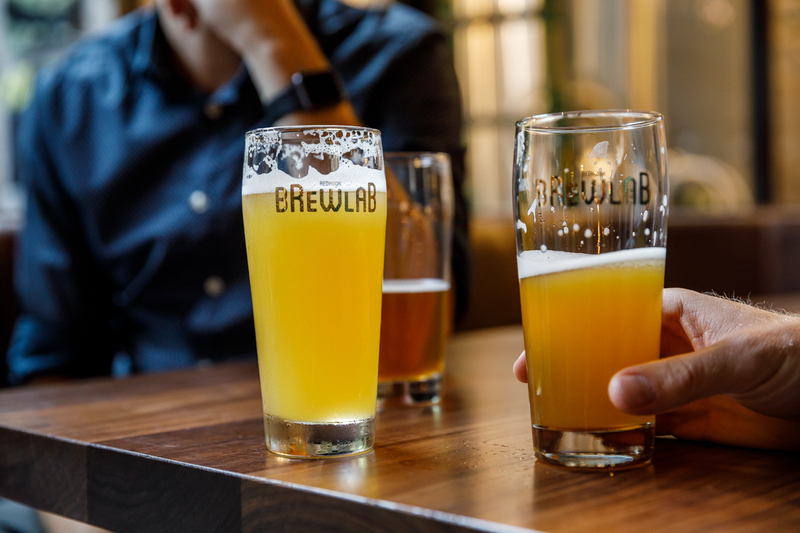 With the launch of Brewlab, Redhook is also introducing its new Washington Native series, a rotating line-up of house IPAs that will feature ingredients exclusively sourced from the State of Washington. 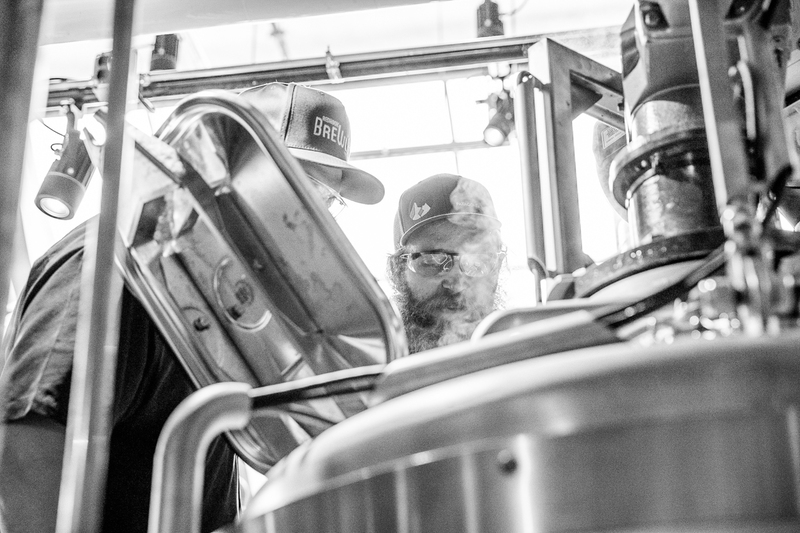 The Washington Native series will be a permanent fixture at Redhook Brewlab. The first release in the series featured ingredients from two of his favorite sources, hops from Roy Farms in Moxee, Wash., and malts from Skagit Valley Malting in Burlington, Wash. 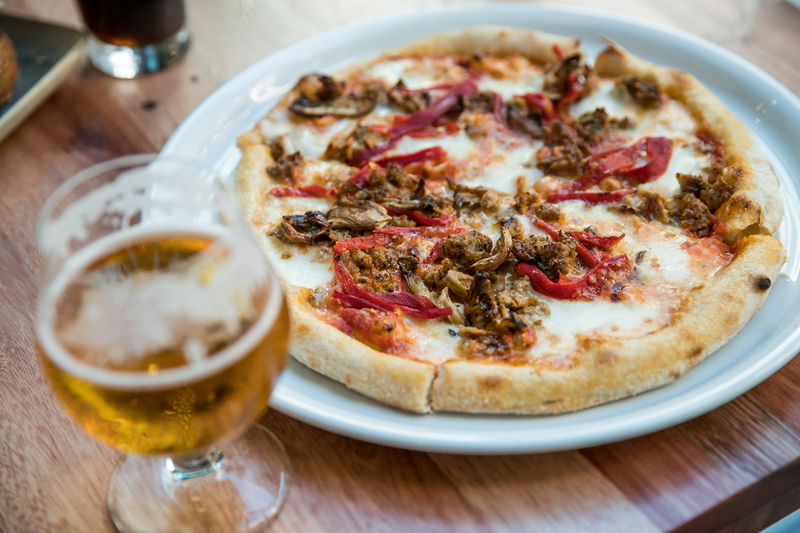 In addition to creative beers on tap, Redhook Brewlab offers a specially curated menu featuring ingredients from local Seattle purveyors. While the heart of the brewery is the eight-barrel brewing system, the heart of the kitchen is a stone-hearth oven from WoodStone in Bellingham, Wash.
Redhook Brewlab’s concept is an intersection of Seattle history and culture, a place where the city’s eclectic influences mix – art, science, brewing, food, and music. 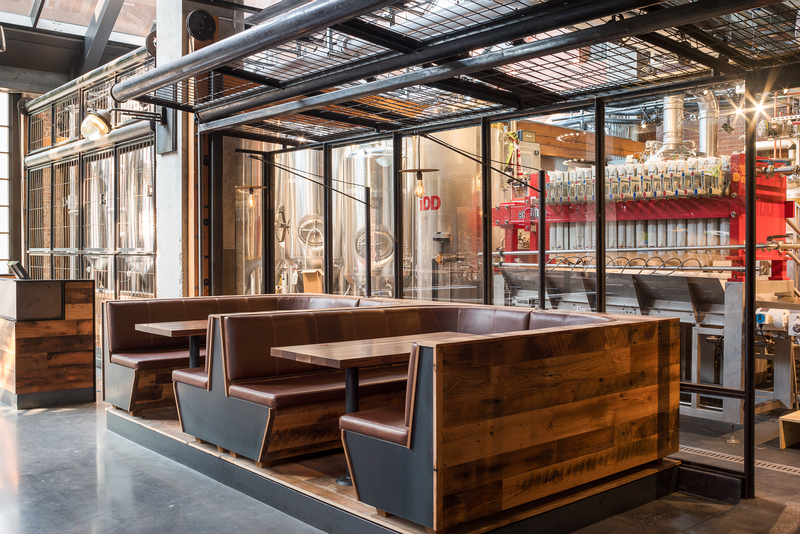 Housed within the Pike Motorworks Building, Brewlab’s space is an open modern brewery and pub concept with an abundance of natural light. 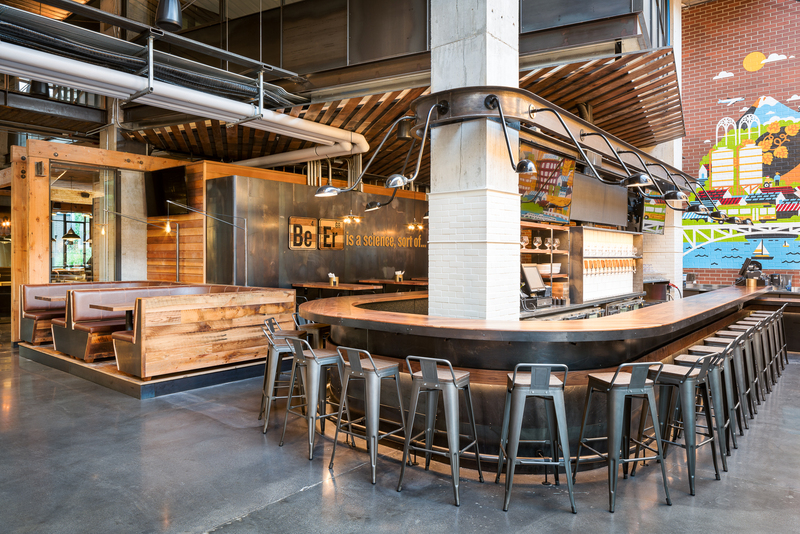 A focal point inside the brewpub is a custom mural by Grammy-nominated Seattle illustrator and Sub Pop Records Art Director Sasha Barr. The mural, which spans 14’ x 18’ on the wall near the front bar, is a colorful visual collage combining the city environment, people, beer, Seattle architecture, and elements from the Capitol Hill neighborhood. 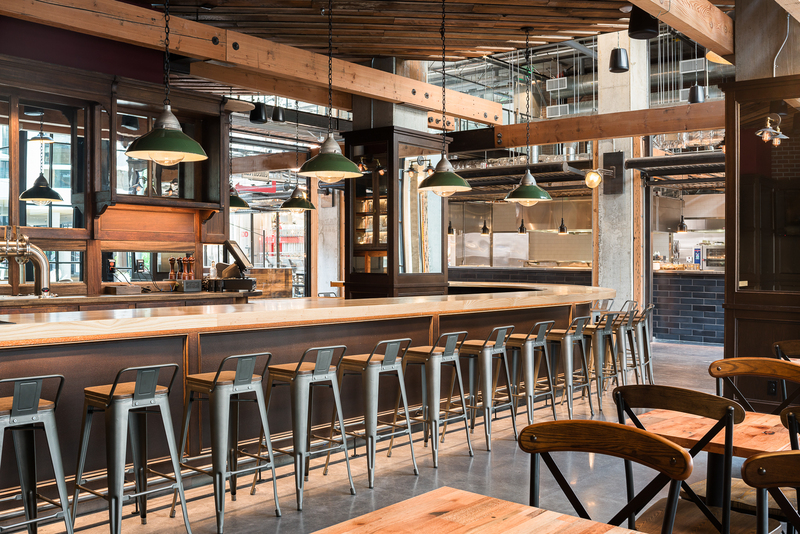 Large patios in the front and back of the space increase the seating capacity from 171 to 258, making the Redhook Brewlab’s total outdoor patio space the largest in the Capitol Hill neighborhood. The back patio features two firepits for a cozy beer drinking experience, and both patios will be open as weather allows. In addition to developing Redhook’s latest small-batch beers, Crandall will take the lead on the music front, playing music from his extensive collection of vinyl records for all to enjoy. There are also plans to ramp up a local live music program, with an ongoing series of shows held at Redhook Brewlab.